Teddy at 4 years of age. Those of you who have followed my blog may have met my 5-year-old pinto Teddy. I’ve posted a few photos and blogs about him over the past 1 1/2 years and featured some of our adventures as Teddy has grown and matured since I purchased him as a yearling. Well, I had to say good-bye to my beloved horse last week. After several months of unexplained neurological degeneration and some of the best veterinarians in the country working on his case, Teddy just couldn’t be saved. 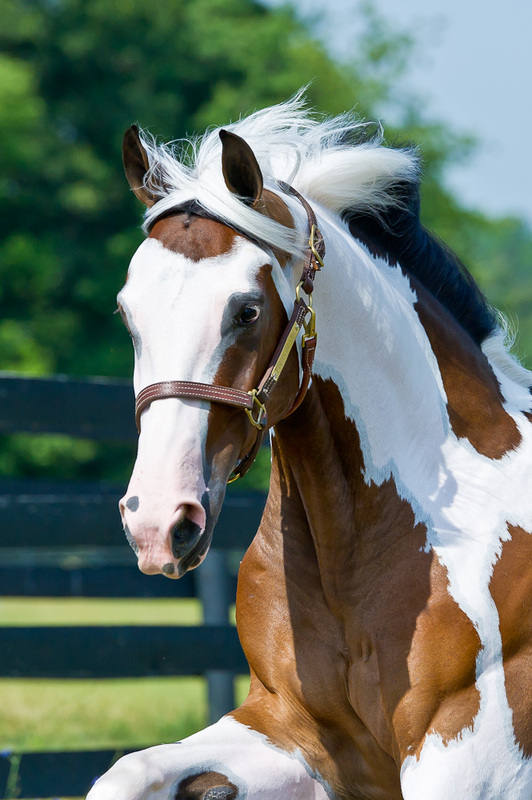 Even with two trips to the Marion duPont Scott Equine Medical Center in Virginia—one of the country’s best equine hospitals—and many diagnostic tests, the reason for Teddy’s illness remained a mystery. Teddy at 2 years of age. My veterinarian did discover a probable cause of his neurologic issues after the necropsy (the equine equivalent of an autopsy), but we are still awaiting the pathology results to confirm the findings. If they come back positive, I will have a lot more to say about his demise. In any case, I lost my horse well before his time. 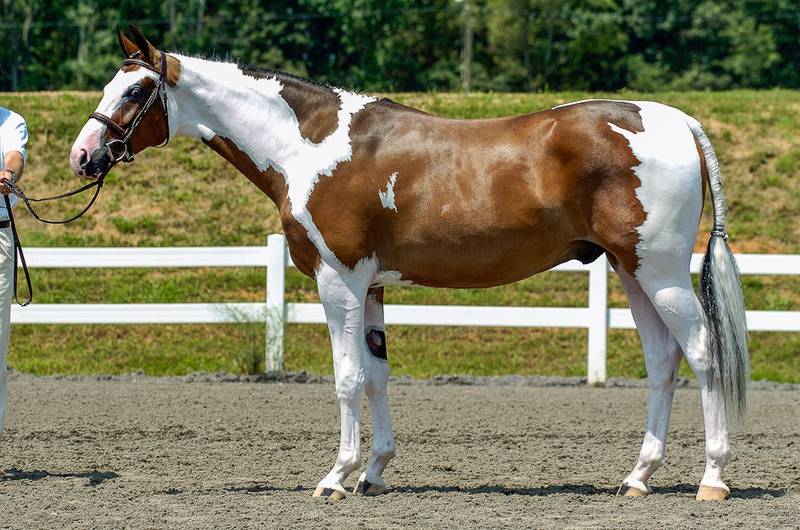 I’ve included a few of my favorite photos of Teddy in this post, from his hunter breeding career to his early adult years. I’m very fortunate that my dear friend and artist Linda Luster had started a portrait of him in June before his health failed. I look forward to hanging Teddy’s painting in a place of honor in my home after it’s finished, so I will always have him with me. I’ll cherish the four years I spent with him, but I know there was so much more we could have enjoyed and accomplished. 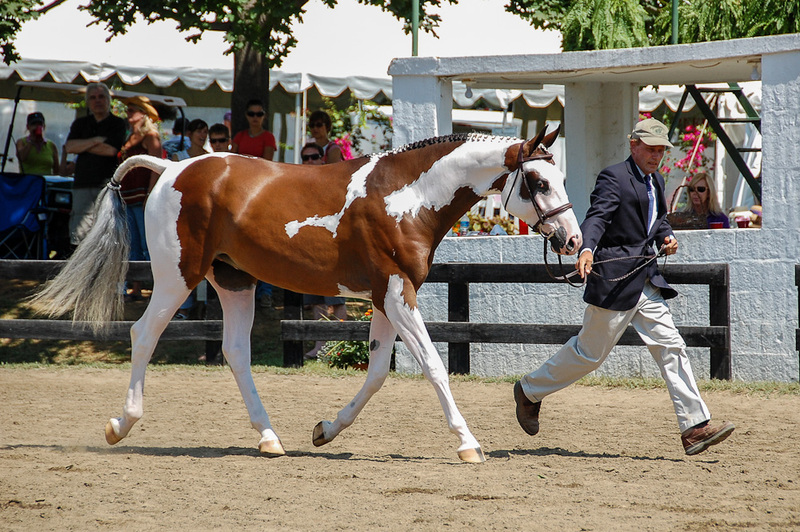 Teddy and Larry Jones at the 2009 USEF Sallie B. Wheeler National Hunter Breeding Championship. Owning a horse really isn’t like “owning” another creature. Although I supported his upkeep and training for many years, we were more like partners in our journey. I will always fondly remember the many hours we spent together just hanging out, when I would simply hold the lead-line while he grazed in the field and imagine all of the future adventures we would share. I was the first person to jump him, the first person to show him under saddle and his biggest fan, but he often led the way. Teddy had an opinion and didn’t hesitate to share it with me. I like to think we had a special understanding and respected one another, which means more than any ribbons we could have won. I’ve always felt uncomfortable with the term RIP when offering solace after one has passed on. Instead, I hope Teddy isn’t resting in peace somewhere. 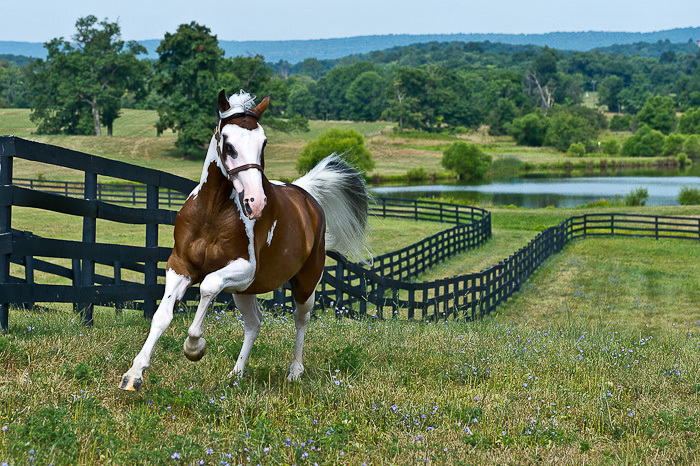 I want to imagine that he’s galloping over beautiful fields, soaring over whatever obstacles he encounters and reveling in a body that works perfectly without injury or disease. In fact, when I close my eyes that’s the Teddy I will always remember. I’m so sorry to hear this. What a beautiful tribute and fantastic pictures (as always). It looks like he enjoyed a fabulous life! Thank you for your note. He did have a wonderful life and better than most horses. I do take comfort in that. This is just so sad and brought tears to my eyes as often, we spend more time with our animal friends than with our own family. When you fall off a horse, you are told to get back on so I hope that you already have your eyes (and heart) set on your next equine friend. My condolences. I see Teddy galloping across the fields as well! Lovely tribute. Thank you, Patti. He did love to gallop! So sorry for your loss of Teddy. What a beautiful tribute. I am thinking of you and know there isn’t anything i can say to take away the pain and difficulty of watching him become ill and pass away before his time. Very awful and sad. Your photos are lovely. Thank you. Writing this post helped me a lot. I think collecting my favorite photos and remembering how much fun we had together allowed me to realize how fortunate I was to have him even for just a short time. So sorry for your loss Tricia. You wrote a beautiful tribute to a magnificent creature. He is free now, running and playing. Thank you, David. And thank you for your thoughtful email. I am so very sorry:( I know first hand how difficult it is to loose a beloved horse and not know why…my mare Hobby was only 8 when we had to put her down due to pain in her front feet…nothing to do with founder or anything like that…my vet could not truly explain why to me…neither could the top teaching University of WSU…it was the hardest decision I have ever made and it was awful…I loved Hobby so very much. She is buried here and I know someday I will see her again and she will be healthy….she was my girl….my heart goes out to you. So sad to hear the story of your mare. We all did the best we could to figure out Teddy’s issues, and I better understand how hard it is for veterinarians to diagnose these problems when their patients can’t tell them what’s wrong. In the end, it was the right decision, but I’m glad that we gave it our all. Thank you for your understanding note. I goes sometimes these lovely horses just aren’t meant to stay with us as long as we would like. What a touching and beautiful tribute for such a magnificent horse! Teddy was certainly well loved. We are so very sorry for your loss. Thank you Chloe. And please tell Bob I appreciated his email. Tricia, I am truly sorry about the tragic loss of your handsome ‘Teddy’. It is really unfair to lose a much loved pet at such a young age and for unknown causes. You went over and beyond for him and had to make that tough decision to let him go and stop his suffering. I leave you with this poem that will hopefully help you through this very difficult period. Take care. Big comfort hug! So sorry, Tricia. I knew about Teddy from facebook and posted there. Was the reason for his illness discovered? I miss your blog posts. I know this is a busy time of year with school starting, etc. I have been working on several projects – much busier than usual. I hope to soon get caught up reading the blogs I follow. I’m so sorry you lost Teddy at such a tender, young age, what a magnificent horse Teddy was and such beautiful photos and memories you have.